Sports-related eye injuries cause an estimated 100,000 doctor visits each year. Yet, most of these injuries can be prevented by wearing eye protection. In fact, a recent study of high school field hockey players shows that traumatic eye injuries fell 67 percent after eye protection became mandatory.1 In support of Sports Eye Safety Month in April, UCLA Stein Eye and Doheny Eye Institutes and the American Academy of Ophthalmology are offering athletes of all ages guidance on how to best protect their eyes. Put your helmet on: For baseball, ice hockey and lacrosse, wear a helmet with a polycarbonate facemask or wire shield. Know the standards: Choose eye protection that meets American Society of Testing and Materials (ASTM) standards. Anyone who experiences a sports eye injury should immediately see an ophthalmologist or go to the emergency room, even if the eye injury appears minor. Delaying medical attention can result in permanent vision loss or blindness. For more information or to find an ophthalmologist near you, visit uclahealth.org/eye. 1. 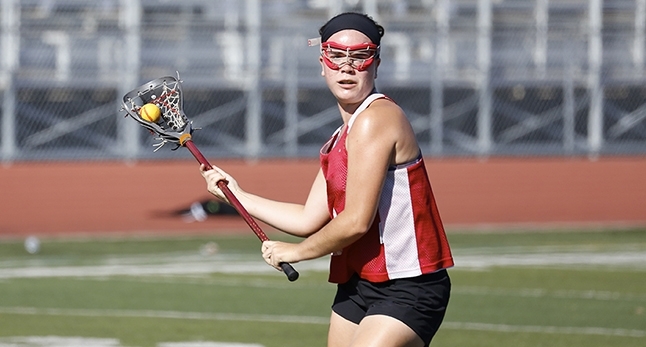 Eye Protection and Risk of Eye Injuries in High School Field Hockey, Pediatrics, Sept. 2015. Kriz, et al.